How to Pair Your Amazon Echo Remote? The Amazon Echo comes baked-in with its digital virtual assistant Alexa that helps you to do tasks on-the-go just with your voice command requests. The ability of Amazon Echo to integrate with third-party devices [Read: How to integrate Amazon Echo with Samsung SmartThings?] lets users operate several of their smart home appliances through voice commands. However, in case if Alexa fails to hear your voice commands because the music’s too loud or because you’re sitting in a different room, you can now use the Amazon Echo Remote to communicate with Amazon Echo, and get things done. Step 1: Pull down the latch of the remote battery door and remove it. Insert the two AAA batteries, while making sure they are in the correct orientation. Step 2: Go to your Alexa App. Open the left navigation menu, and select Settings. Step 3:Select the Echo device and click on the option Pair Remote. You might also see an option of Forget Remote. So in case you are replacing the old remote with the new one, first remove the old remote by selecting Forget Remote option and then pair the new one. Step 4: Press the play/pause button and hold it for 5 seconds before releasing it. Your Echo will search for this new remote and would pair it in 40 seconds. Once this is done, Alexa notifies you by saying “Your remote has been paired”. 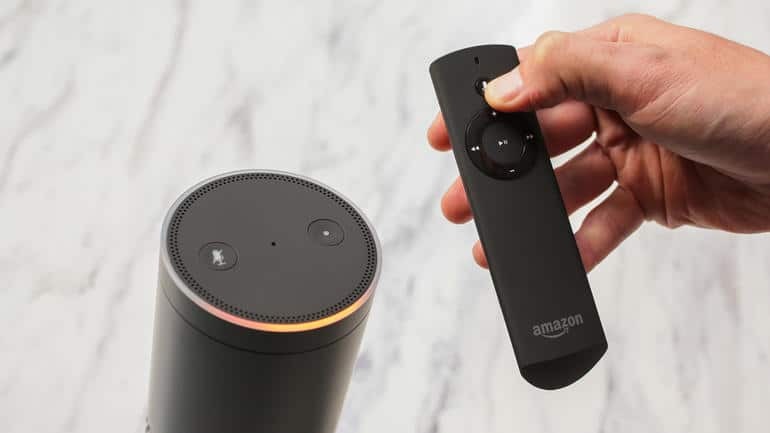 Thus, apart from communicating to your Amazon Echo through the digital virtual assistant Alexa, you can control your Amazon Echo with this additional remote accessory. The Amazon Echo can also respond to the triggers caused by external actions. Thanks to the Echo-IFTTT integration! [Read: How to integrate Amazon Echo with IFTTT]. With IFTTT, you can ask Alexa to find your phone if being misplaced, ask it to mail you your shopping list, help you remind of new movie arriving this weekend, etc.